Welcome to our Nintendo Direct Mini broadcast! 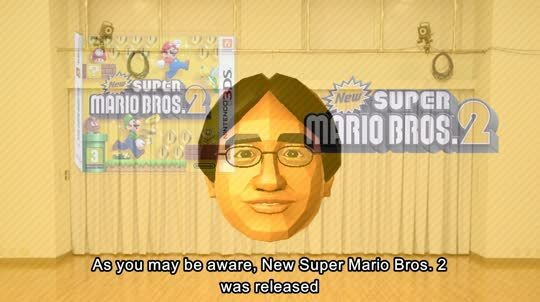 You can re-watch this presentation, introduced by Nintendo President Satoru Iwata, at any time! Our Nintendo Direct Mini is a short presentation – introduced by Mr Iwata – on the add-on content for New Super Mario Bros. 2 on Nintendo 3DS!